Anna Butler: A Minor Inconvenience - but a major triumph! 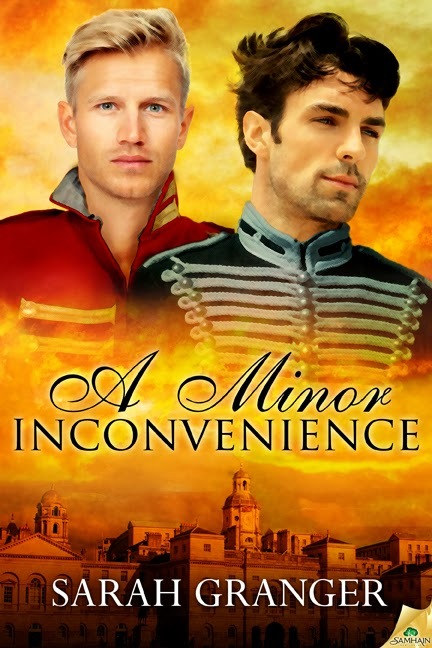 Over at my website, read an exclusive extract from Sarah Granger's wonderful Regency m/m romance, where there are dashing Napoleonic war officers, uniforms, balls, Almacks, French spies and BREECHES!!! Follow her blog tour here and enter for giveaways and generally just join in the delighted squeeing.